Hot startup bank Mondo must raise at least £15 million ($22 million) later this year to gain its full banking licence. Mondo, which crowdfunded £1 million in just 96 seconds earlier this year, is in the process of applying for its full licence and hopes to have a “restricted licence” within two or three months. This is a sort of probationary licence that allows Mondo to prove to regulators it is ready for a full licence. CEO Tom Blomfield told Business Insider: “The restricted licence is a way of signalling to the market that they are [the Bank of England and regulator Financial Conduct Authority] minded to approve you, so you can then go out and raise the capital you need to launch. It is sort of a test phase. Mondo, which was valued at £30 million in a fundraising earlier this year, has to date raised £8 million from crowdfunding investors and London seed fund Passion Capital. 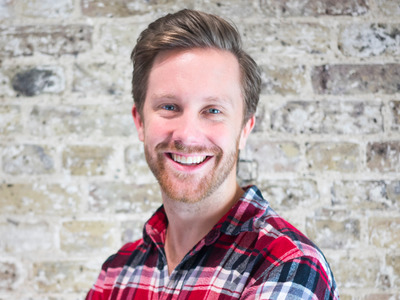 BI heard from two sources close to Mondo that Britain’s financial watchdog — the Financial Conduct Authority (FCA) — has been querying Blomfield’s role as CEO given his lack of banking experience and could ask him to take a less prominent role in the startup bank. Rippon, who has also worked at Lloyds and Northern Rock, joined Mondo as the chief risk officer last February but was promoted to deputy CEO last August. 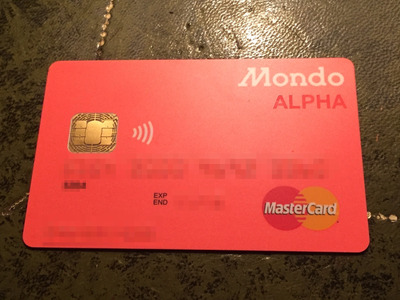 Business Insider/James CookAn early version of Mondo’s pre-paid card. Mondo has 150 years worth of retail banking experience on its board, according to Blomfield, and another “50 or 60 years” on its executive team. Prior to cofounding Mondo Blomfield cofounded direct debit startup GoCardless. He worked in management consultancy before that. However, unlike its rivals, Mondo is yet to be fully licensed by the Bank of England, meaning that at the moment it is only able to issue pre-paid cards that have money loaded onto them through the app rather than debit cards. The startup revealed last week that it is having to change its name over a trademark dispute.